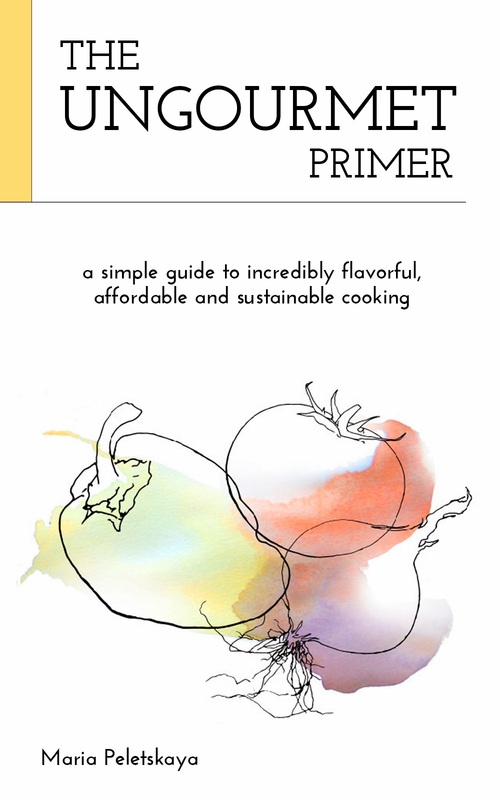 A cooking and meal planning resource for those of us who want delicious food that's easy and affordable. Hearty, healthy meals for $1 and sustainable ideas for saving time and money beyond the kitchen. This 'sauce' is a summertime favorite, when there's an abundance of local ripe tomatoes and your kitchen is too hot for lengthy cooking. The preparation of this sauce is more like a stir fry; since everything will happen quite quickly you will want to start ½ lb of pasta cooking first, and then chop all the ingredients before proceeding with the sauce. 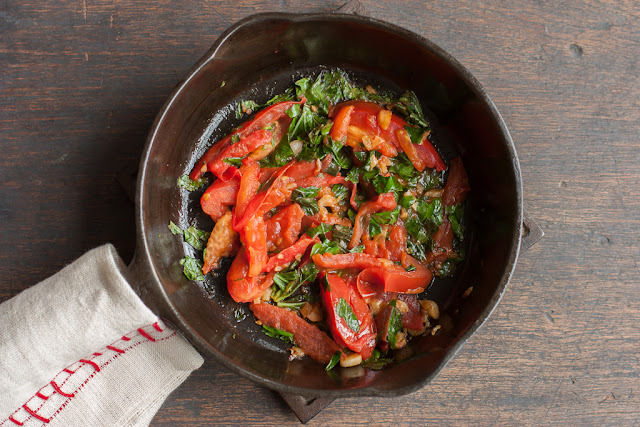 In a wide frying pan on high heat, sauté garlic for 30 seconds in olive oil, then add tomatoes and let them “caramelize”. The tomatoes will caramelize most effectively if they are spread out in a single layer, and are left undisturbed (no stirring) on high heat for about a minute. Then add the basil, salt and give everything a stir. After another 30 seconds turn off the heat and serve over your favorite pasta. Some freshly grated parmesan or nutritional yeast is a nice, but not an essential garnish. Ungourmet Vegetarian. Powered by Blogger. The goal of this blog is to celebrate delicious food that's also practical. Contrary to certain foodie trends, we believe there is no reason for amazing food to be expensive or complicated or time consuming. Our hope is to bridge the ethos of the slow and simplicity movements (cooking delectable traditional foods from scratch, connecting with others, minimizing waste and clutter) with the everyday needs and constraints of “the 99%”. Check out the recipe section for easy, healthy, authentic recipes from the world’s vegetarian traditions that ANYONE can make.